Self-discipline is empathy with your future self , las ich zu Beginn des Jahres irgendwo auf Twitter. Das ist gut gesagt, wenn 2018 etwas gelehrt hat, dann dass kurzfristige Gratifikation möglicherweise unser größtes Problem ist. Es ist Kunst, sich zu unterwerfen, alle Konsequenzen und vor allem die schmerzhaften anzunehmen. Weil es nur dann die Chance gibt, den Dingen Gewicht zu verleihen, weil sie nur dann wirklich existieren. Gleichzeitig muss man wissen, wann und wo der Schnitt zu setzen ist. Sich mit gleicher Eleganz, Sicherheit und Würde lossagen, den Moment sezieren und gerade auf diese Weise das Neue zu schaffen. Beides, Unterwerfung und der Schnitt, sind notwendige Teile des Vertrauens in den Prozess, nicht seine Resultate. Das war in diesem Jahr weiterhin zu lernen, wiederum in Japan: Auf dem Weg durch die unbeschreiblichen Wälder von Wakayama und am Tag des Taifuns in Kyoto, den ich in einem Bunker neben Hōkan-ji verbrachte. Es war zu lernen in London, wo ich Hōjōki las (Architektur und Geisteszustand, natürlich), als wir Subhuman Inhuman Superhuman und das Dach der Triennale für uns hatten, als in der Ferne der Frühling begann. 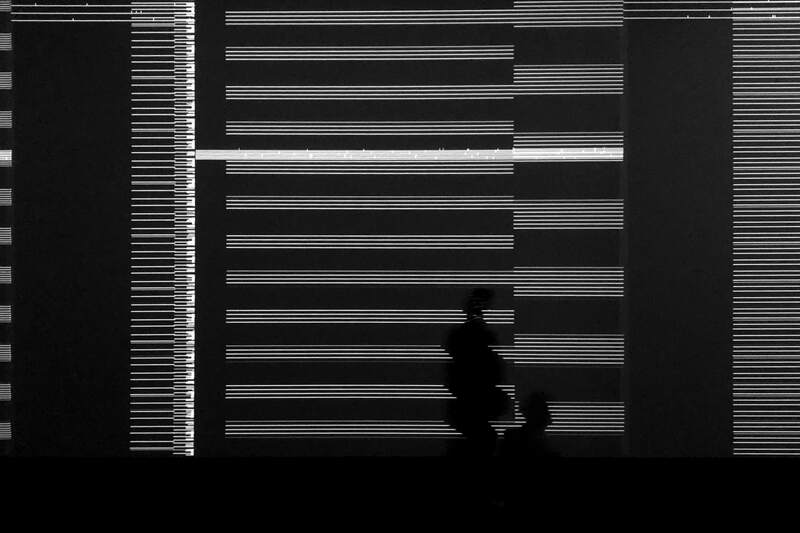 Es war zu lernen bei Dan Flavin in München und angesichts Ryoji Ikeda’s Point of no Return (2018). Demut, Unterwerfung, langfristiges Denken, weniges könnte unzeitgemäßer erscheinen. Ich denke, es ist der Weg der kommenden Jahre: weniger Freiheiten und weniger Gratifikationen. The wrong roads are being paved in an increasingly automated culture that values ease , und darum müssen wir gegen diese Form der Zugänglichkeit sein, und gegen Komfort. Der einfache Zugang zu allen Dingen ist eine Einladung, sich mit Anspruchsvollem zu befassen — nicht zum Versinken im zuerst Vorgefundenen. Zukünftige Infrastruktur muss die Verfeinerung ihrer Inhalte hervorbringen, nicht die Erhöhung geistlosen Durchsatzes. Es ist weiterhin an uns, diese Strukturen zu bauen. Grace as defiance, Musik des Jahres 2018. Four days in September, I lived in the refurbished remains of a 1970s apartment building, constructured for a long-gone working class in Kyoto. I laundered my clothes in its cellar, I slept beneath its raw concrete ceilings. I witnessed the strongest taifun through its latticed windows, the rain slashing around Hōkanji, which stood unimpressed, as it has forever. Within the howl, all fell silent. I remember overlooking Higashiyama, its houses made from aging wood (noticing how its particular gradient is determined by age and exposure), the trees and rocks – as if all this was my home. As if it had years of my life to emblazon itself into my brain. A concrete box in a taifun, my love and me inside, and our clothes hanging to dry on an extendable fishing rod across the room. A day to itself, in this year of change and momentum (at RC Hotel, Kyoto). One of the most significant things about the urban fabric of Japanese metroplexes is the number and cultural integration of 7-11, Family Mart and other convenience stores: Multi-purpose hubs, more or less 24 hours per day, for all kinds of social strada. They provide grocery shopping assistance to the elderly, free Wi-Fi to tourists, wastebins and agreeable cheap food to everyone. The Famima entrance jingle is one of my strongest and most present memories from my times spent in Tokyo and other japanese cities. These stores cry for ethnographic inquiry beyond William Gibson’s inquisive modelling of the Lucky Dragon franchise in All Tomorrow’s Parties. Die Kieswege und der Geruch nach Zeder, moosgrüne Steinlaternen, gewundenes Holz, glimmendes Licht in ausgehöhlten Bambusrohren, überhaupt: Bambus. Rinzai-Rot-Orange. Wetteiferndende Zikarden an den Ufern jedes Rinnsals. Das dichte, schweigende Moos entlang sorgsam angelegter, gleichsam planvoll gewachsener Blickachsen. Walking the streets of Osaka by myself after nightfall, immersed in neon light and concrete, the 1980s endlessly reflected long since their time has ended. I have no purpose here, other than keeping momentum, researching myself in alley corners. 2015 seems a long time ago, I think, as I head back to Dōtonbori to meet a woman under battered Ezaki Glico, research unfinished and thoughts unthought. There was one of the perfect silences in the 100-Meter Gallery of Odawara Art Foundation. You know, the considered kind that includes a faint hum of air condition running at its lowest setting. There was no movement of air. This is what can be learned from the Japanese: Silence. The silence of deferring to the dao of all things, while doing what has to be done by playing one’s part, elegantly. The silence of recognizing each thing’s and each being’s part. The silence of doing nothing when all is done. Watching the slim, immaculate fingers of the JR East clerk fly over a landscape of unlabeled, but color-coded hardware keys, each press producing the kind of satisfying mechanical click keyboard afficionados have been paying substantial sums for, I wonder whether his fingertips have already flipped open to reveal a set of spidery steel rods, inputting data with superhuman speed and precision. The clerk is wearing a short-sleeved grey button down, embroidered with the vaguely brutalist JR logo. His physiogonomy, attention and complete being could not be more focused. Around him, an assortment of laminated scraps of paper, highlighted katakana phrases, flyers and maps is taped into a Monet-esque array of tranquil color. The dynamic silence of faint office sounds surrounds us. You look so grim, Craig said.